Francisco Kjolseth | The Salt Lake Tribune Gov. Gary Herbert joins a press conference at Edwards Lifesciences in Draper for a new Medical Innovations Pathways (MIP) program, which will provide students the opportunity to receive a manufacturing certificate while in high school. 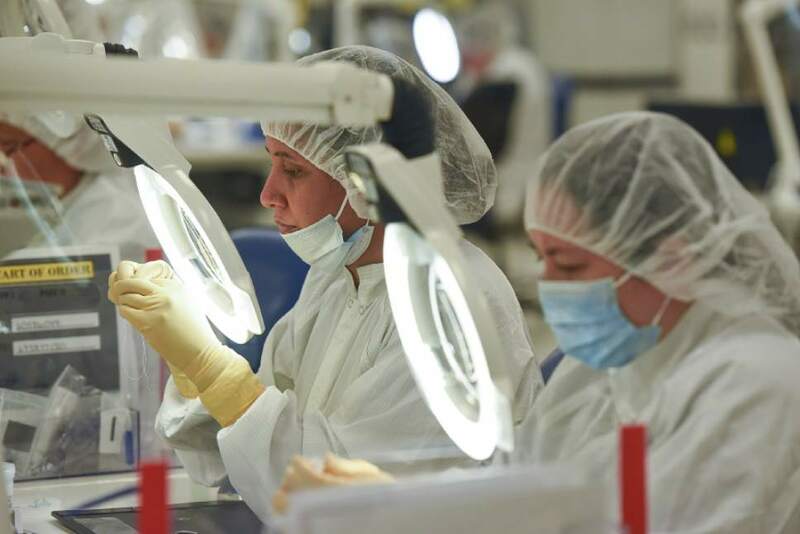 Francisco Kjolseth | The Salt Lake Tribune Human precision is put to use at Edwards Lifesciences in Draper, where workers sew by hand components of an annuloplasty heart valve ring. A new Medical Innovations Pathways (MIP) program launched Tuesday will provide students the opportunity to receive a manufacturing certificate while in high school. Francisco Kjolseth | The Salt Lake Tribune Martin Bates, superintendent of the Granite School District, speaks at a press conference for the new Medical Innovations Pathways (MIP) program, which will provide students the opportunity to receive a manufacturing certificate while in high school. The event, held at Edwards Lifesciences in Draper, provided a glimpse into medical manufacturing innovations. Francisco Kjolseth | The Salt Lake Tribune Ken Eliasen, vice president of operations at Edwards Lifesciences in Draper, gives Gov. Gary Herbert a tour of the heart rings sewing operation, which requires the precision of the human hand. A new Medical Innovations Pathways (MIP) program launched Tuesday will provide high school students the opportunity to receive a certificate in medical manufacturing. 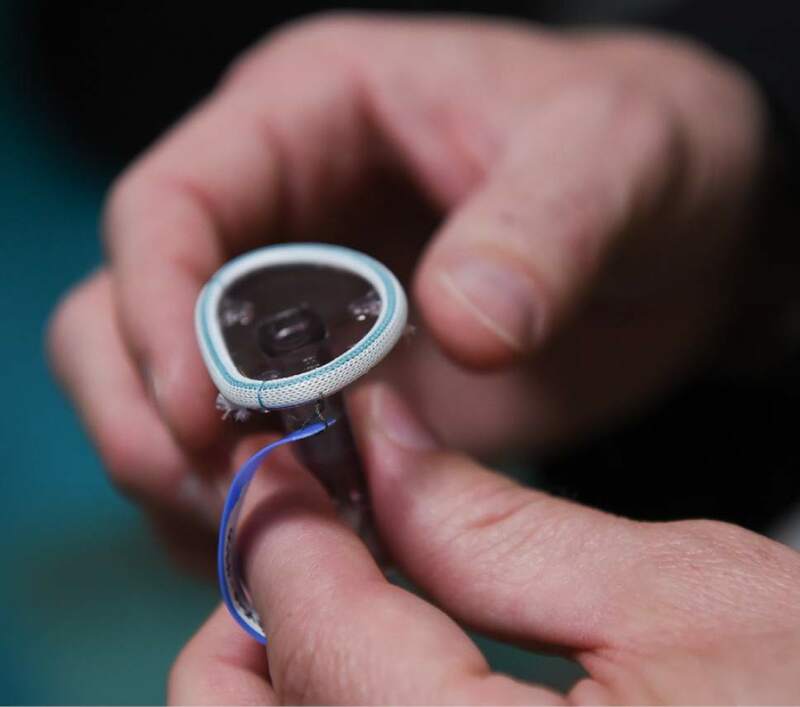 Francisco Kjolseth | The Salt Lake Tribune Trent Bingham, director of human resources for Edwards Lifesciences in Draper, describes the level of precision required for the creation of an annuloplasty heart valve ring, which is sewn by hand. On Tuesday, state and Granite School District officials launched a new Medical Innovations Pathways program, which will provide students the opportunity to receive a manufacturing certificate while in high school. The event was held at Edwards Lifesciences. Skyline High School senior Kiera Teerlink hasn&apos;t settled on a future career yet, but she&apos;s leaning toward "medical stuff." "I just want to help people," Teerlink said Tuesday. "I want to make a difference, I guess." Teerlink will have a chance to narrow down her career plans this year as part of the first cohort of students for the new Medical Innovations Pathway program. The program, which formally launched Tuesday, combines high school and community college classwork with on-the-job training and internships to help students graduate, career ready, with a certificate in medical manufacturing innovations. Granite School District Superintendent Martin Bates said too many students leave high school and enter colleges or universities without a clear picture of where they&apos;re headed. The pathways programs, he said, allow students to earn academic credit while testing the waters of a potential career. "This really is an opportunity to do this with kids at a formative time," Bates said, "to find their interest and capture their interest." 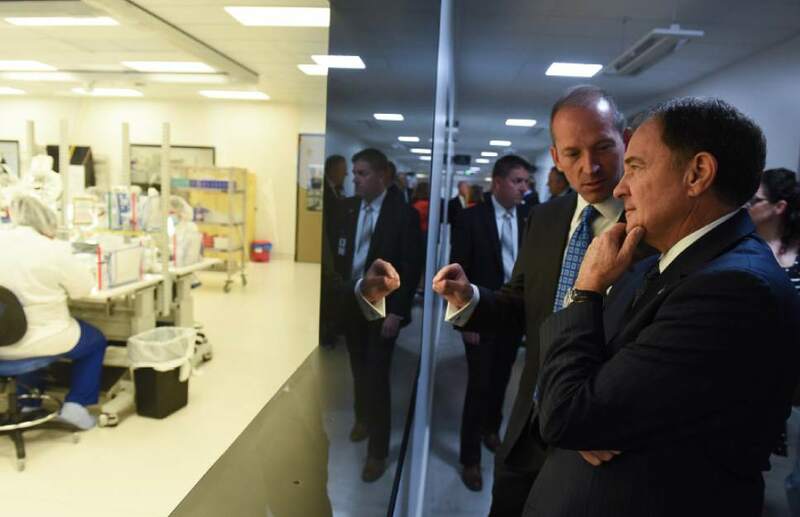 The Medical Innovations Pathways program is the third of its type in the state, after the launch of aerospace and diesel technician programs during the past year. Students first attend college-level courses, followed by a semester of workplace training or internships at partnering businesses, according to Ben Hart, managing director for urban and rural business services at the Governor&apos;s Office of Economic Development. 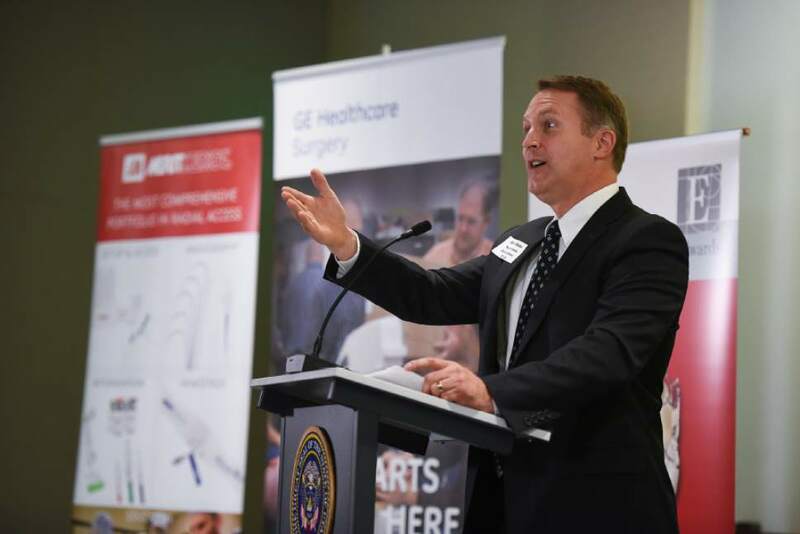 Utah&apos;s Department of Workforce Services awarded $200,000 to the Granite School District to coordinate a one-year pilot for the Medical Innovations Pathway, Hart said. That funding was taken from a larger grant of $1 million that was awarded to the state by the nonprofit USA Funds. Hart said the aerospace and diesel pathways already are showing success. Of the 40 students who participated in the aerospace program, he said, roughly half have been hired for industry careers while the remaining half elected to enroll in higher education. "We were very satisfied with the first year," he said. Utah Gov. 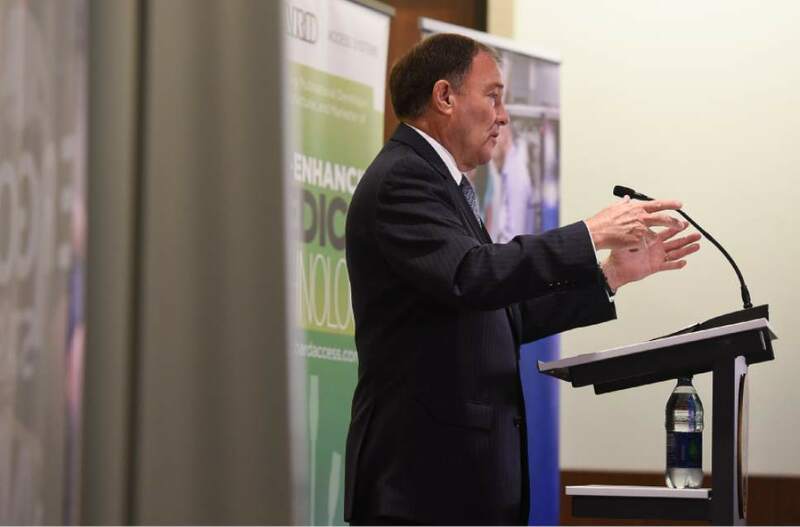 Gary Herbert described Tuesday&apos;s launch as a "red-letter day" for the state. He said good education leads to good jobs, and praised the cooperation of public and private entities that allows for innovative approaches like pathways. "If every state was as successful as Utah," he said, "we&apos;d have a great country." William Hansen, president of USA Funds, said too many technical and medical jobs are left unfilled around the country. Universities are not producing graduates with the skills to fill those jobs, he said, but programs like Utah&apos;s pathways can. "This is really where the rubber hits the road," he said.